Sandstone paving is a popular choice for landscaping because it looks incredible. We’ve been helping the people of Melbourne with sandstone paving for over 20 years, and can source pavers to fit all needs, whether it’s for pool landscaping or paths and walkways. Sandstone pavers can be relied upon to last and they’re extremely low-maintenance, which makes them perfect for a busy family. Light, bright and available in a whole variety of shades and hues, sandstone pavers lift the appearance of any backyard. Our sandstone pavers service takes you through from design all the way through to laying the pavers and clean-up. You don’t have to worry about a thing—we source everything, so you only have to deal with one contact throughout the process. You also benefit from the famous Everlast Services commitment to delivering a quality product and service. No matter how big, small or awkward your space is, we’ll create a sandstone paving service to suit it. Why Choose Everlast Services for All Your Paving Needs? We’ve been providing a paving service for over 20 years. During that time we’ve worked with all sorts of properties. 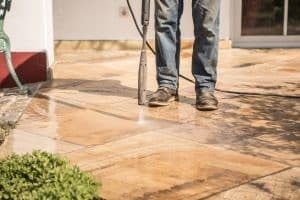 We know what works for your space, and we’ll provide our expert advice to ensure you end up with the perfect hardscaping solution for your needs. We are a family owned company, and this shows in our respect for the customer. During the course of our operation, we’ve staked our reputation on ultimate respect for the customer and the task at hand. This respect means that we communicate with you at every step of the way, so you stay in control over the project. Nothing goes ahead without your say so, and that’s the kind of power you want for a project at your property. We are committed to sourcing everything we can from local sources. This loyalty means we are rewarded by being able to source high-quality sandstone pavers at reduced prices, and we always pass these savings on to you. It’s all part of our quest to make our service available to as many people as possible.